We are inviting everyone in the Oulu region to join us on Friday 26th for an evening of games and fun. Have you ever wondered what goes into creating a game? Whether you've had an idea or created your own game already, you're a veteran to gaming or you've just entered the world of video games, our local game developers would love to hear your comments on their latest prototypes. We will be providing the games, snacks, and some drinks in exchange for your feedback. Officially the event is from 17:00 - 20:00; unofficially, who knows. Once again we had an amazing cast of judges containing Ilpo Alatalo (Spawn Point), Petri Paananen (Resistance Games), Tuomas Soukka (Fingersoft), Anne Ryynänen (Ludocraft), and Henrik Jonsson (Goodbye Kansas Game Invest). The first Gate of 2019 is over! Congratulations to the games that passed Gate 1! Also a huge thanks to our judges this Gate 1: Antti Nousiainen, Juho Wallen, Ville Helttunen, Pekka Södervall, and Ville Autio. Gate 3 and now of today DemoPath is over. 5 teams gave it their all with an impressive and diverse set of pitches. Teams were given 20 minutes to delegate between presenting their ideas and Q&A time with the 5 judges. Surprisingly, a number of 4 the teams were able to make it through the gate, with the remaining dropping and joining forces with the passing teams. .
Gate 2 is officially over! 8 teams gave it their all with an impressive and diverse set of pitches. Teams were given 15 minutes to delegate between presenting their ideas and Q&A time with the 5 judges. Only 5 of the teams were able to make it through the gate, with the remaining 3 dropping out and joining forces with the winning teams. Join Game LAB and start making game/success. We are especially looking for a keen interest or experience in your area of expertise and a tangible enthusiasm for gaming. Do you think you have what it takes to make it in the Game industry? Find out. Congratulations to the teams that made it past Gate 2! 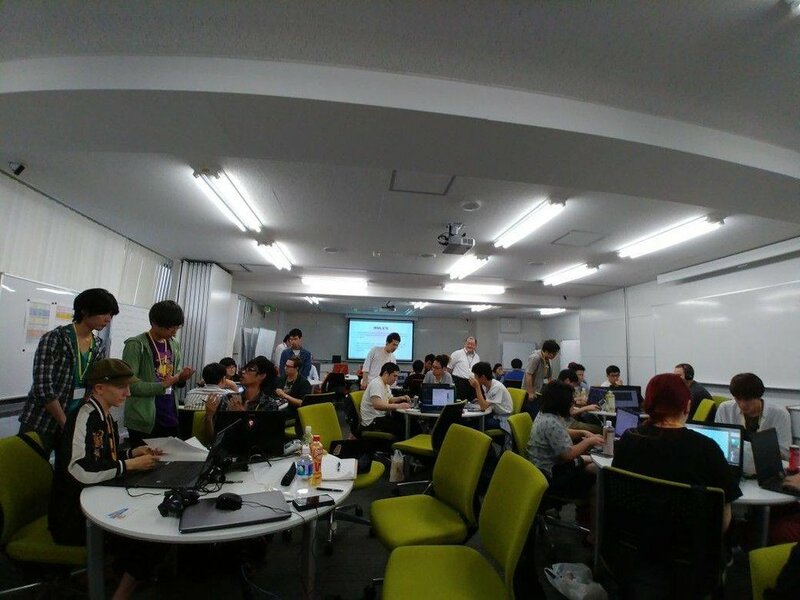 Once again 8 teams shared their game concepts at Gate 1. Anna Salomaa with a presentation about pitching and presenting skills. Congratulations to the 3 teams who survived GATE 3 and will continue on to Game Path! Unfortunately Smolder and Pain Golf did not make it through GATE 3 but worry not, their members will be joining the surviving 3 teams going into Game Path. OGL Applications for Spring 2018 are officially OPEN! If you are passionate about Games and, want to enter in the Game Industry - Game LAB is the best place to do so. Be part of an amazing program that will open your eyes to what making games is all about. From a OGL participant, we are looking for a keen interest or experience in your area of expertise and a tangible enthusiasm for gaming. Professional game development requires diverse and deep expertise, and the ability to work well in a team and to cope effectively with pressure. by following the instructions in the link bellow. Oamk LABs enter the US! Last week a formal memorandum was signed between the University of Vermont (UVM) in the United States and the Oulu University of Applied Sciences. 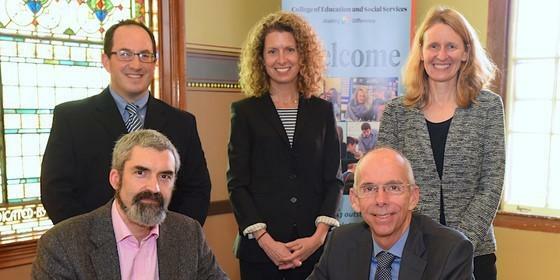 Specifically, this collaboration will be spearheaded through the College of Education and Social Studies at the University of Vermont and Oulu EduLAB at Oamk to encourage long-term collaboration in the field of education and innovation. The relationship targets to see the first students from Vermont to join Oulu EduLAB in August 2018. More global recognition of Oamk LABs! Oamk LABs has won the award for Excellence in Entrepreneurship Teaching and Pedagogical Innovation from the Global Consortium of Entrepreneurship Centers (GCEC) at their 2017 conference in Halifax, Canada. Made up of 225+ university-based entrepreneurship centers from around the world, the GCEC showcases and celebrates the very best of university entrepreneurship each year by awarding the top entrepreneurship programs in eight (8) categories of which excellence in entrepreneurship teaching and pedagogical innovation is one. Pictured (left to right) are: Elana Fine from the University of Maryland (Chair, GCEC Awards Committee); Brad Burke of Rice University (Chair, GCEC Executive Committee) and Blair Stevenson accepting the award on behalf of the Oamk LABs team. Oamk LABs awarded in Kuala Lumpur! Just to let you know that Oamk LABs and LAB studio model was just awarded in Kuala Lumpur to be the best Innovative Youth Incubator education model in the whole world. Again, I'm so proud to be in our team!